The Create USB Interface is an open source microcontroller board that can be programmed in C, BASIC, or Arduino languages. 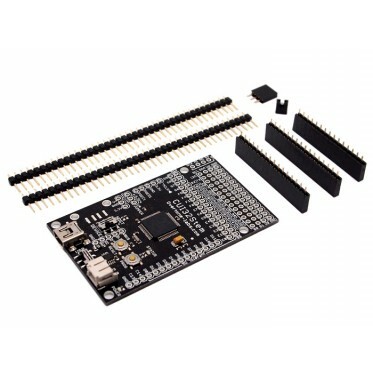 This latest version is called the CUI32Stem, which is designed to work hand-in-hand with the GROVE prototyping system including a wide range of sensors and actuators. The Create USB Interface is an open source microcontroller board that can be programmed in C, BASIC, or Arduino languages. This latest version is called the CUI32Stem, which is designed to work hand-in-hand with the GROVE prototyping system including a wide range of sensors and actuators. You can connect CUI32Stem to Grove system boards via Grove Converter Cables. 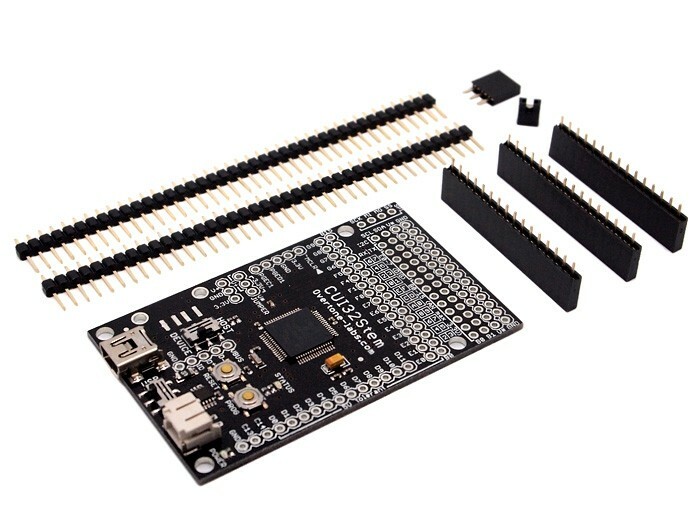 It utilizes a high-performance Microchip PIC32 microcontroller, allowing programmable interaction with all sorts of user inventions, no soldering required! There is a bag of headers included, but not soldered onto the board. This provides a slim board profile for those that require low-profile mounting locations. There is also a wireless transceiver shield for the CUI32Stem called ZigFlea.